How do you grab the attention of consumers who may not be thinking about upgrading their decks, fences or gardens as they stroll through the aisles of their local hardware stores? Go big and demand attention! Americhip partnered with Rust-Oleum to develop a 24” long x 10” high end cap including a rugged plastic core and a printed wood fiber label. 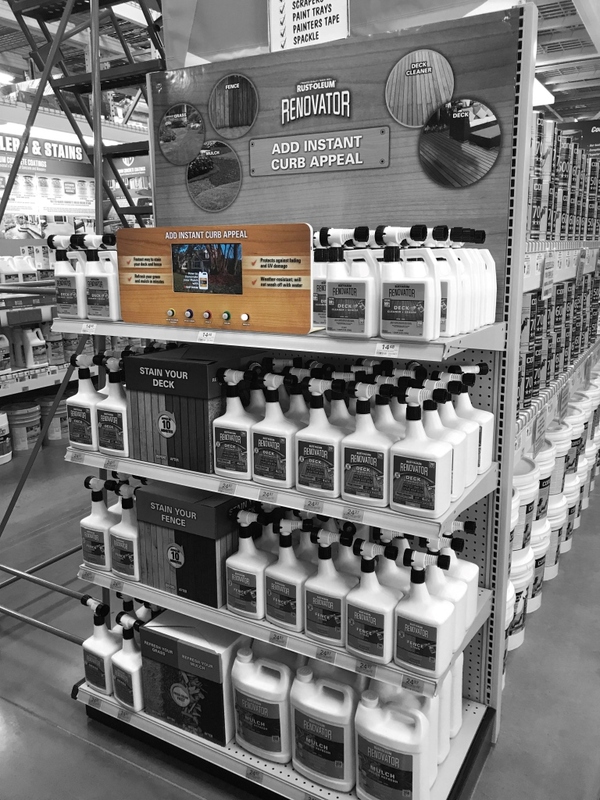 A looping video (without audio) plays continuously along with flashing white buttons to grab consumers’ attention and to invite them to learn more about a wide range of product applications. 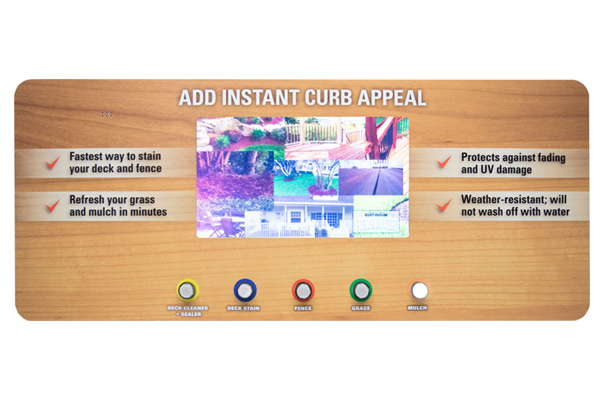 When consumers push a flashing button an entertaining and informative video (with audio) educates them on how to clean, seal and stain their decks, how to upgrade their fences and how to renovate their lawns and mulch for the ultimate summer garden. 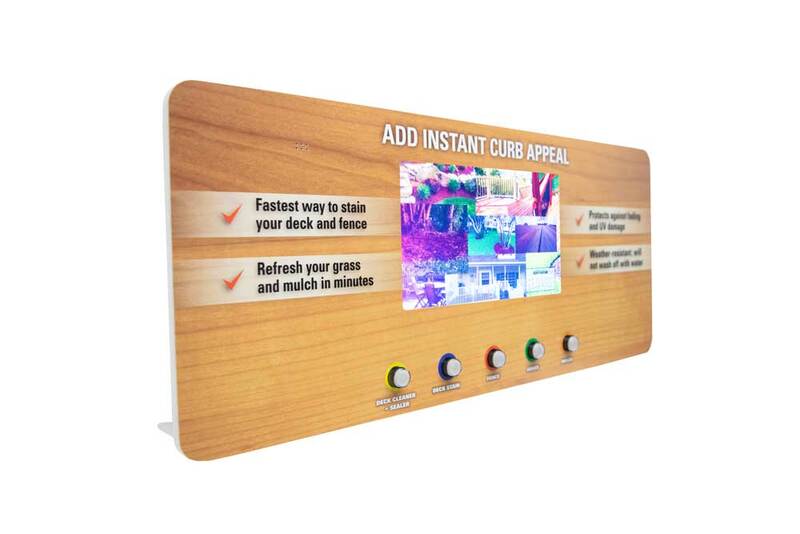 Work with Americhip to create a custom, tech-enhanced endcap that will grab attention and drive sales.